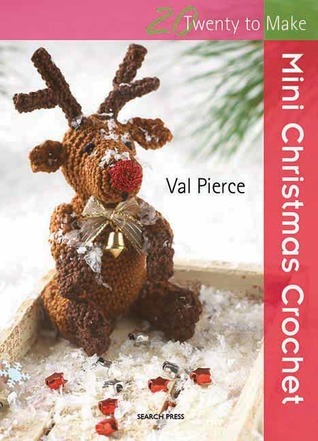 Most of the projects are not purely crochet - they require additional materials such as tinsel balls, stars, small wooden Christmas tree, sparkle buttons, ribbon flowers, gold cushion piping, craft glue, snowflake buttons, holly berries, etc., some of look like they might be difficult to find. A few of the projects aren't particularly Christmassy: dove of peace, good fairy, festive napkin ring. I might try a couple of these, but I wouldn't really recommend this. Fun Cute little holiday decorations for small hooks a d detailed attention. Non sectarian winter holiday motifs. Don't plan these for December, too much detail when you're stressed. Do it in July. The one on the cover was really one of the only cute projects in here. Just not for me. Really cute Christmas decor and most of it simple enough for a beginner.